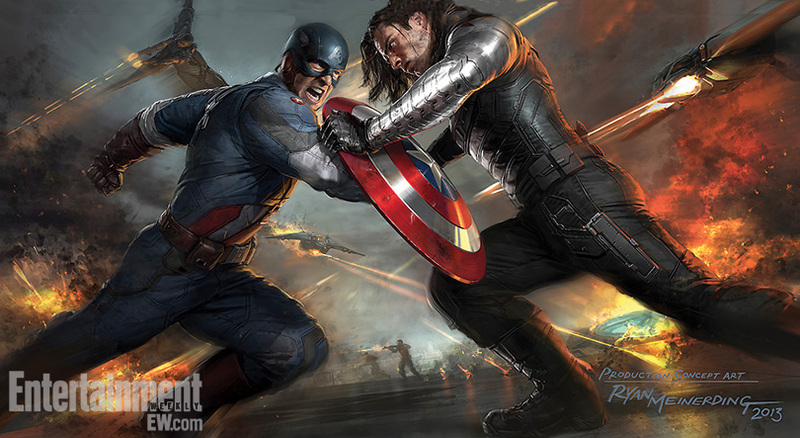 Here’s a great look at some new concept art for Captain America: The Winter Soldier, which depicts the Cap battling it out with former BFF Bucky Barnes. It definitely looks to be the climax of the film, and you can notice Anthony Mackie’s Falcon doing some damage at the top of the image. I find the most interesting thing about this picture to be that Steve Rogers is wearing his old WWII outfit, and not the one he donned in The Avengers. 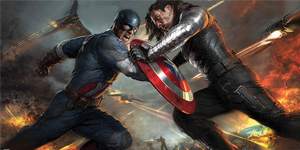 Does he do it as a way to try and evoke some distant memories in Bucky? Perhaps.